Wainwright’s Pictorial Guides: “all the little trees on this map”. We hope you will find your own favourite vignettes whilst planning your walks! 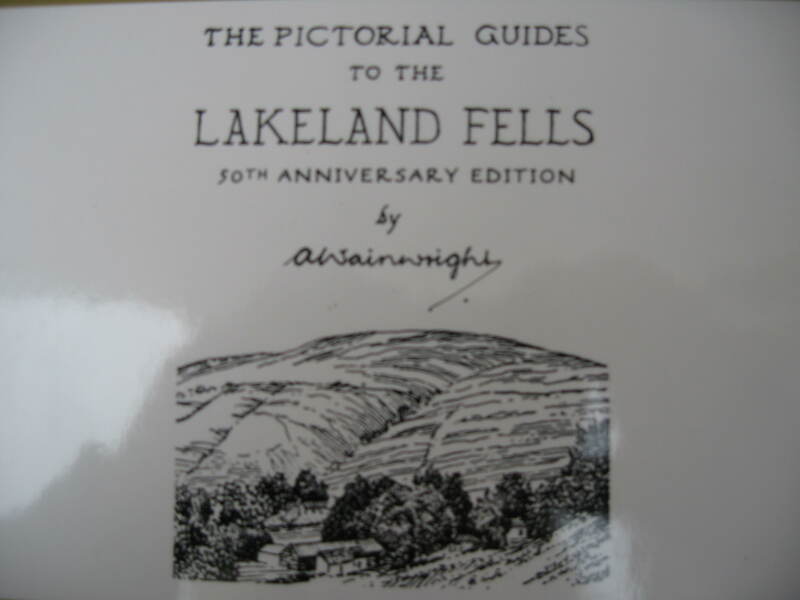 For further information about Alfred Wainwright, please follow this link to the Wainwright Society. Categories: Lake District Nature, Lake District Writers, Things To Do, Uncategorized, Walking | Tags: Wainwright, walking | Permalink. This orange striped volume is the one we use the most and it is dedicated to: “the hardiest of all fell walkers, The Sheep of Lakeland, the truest lovers of the mountains, their natural homes and providers of their food and shelter” … and, sheep like, the chapters scramble up and down the thirty fells of the Southern Lakes from Scafell Pike to Holme Fell. 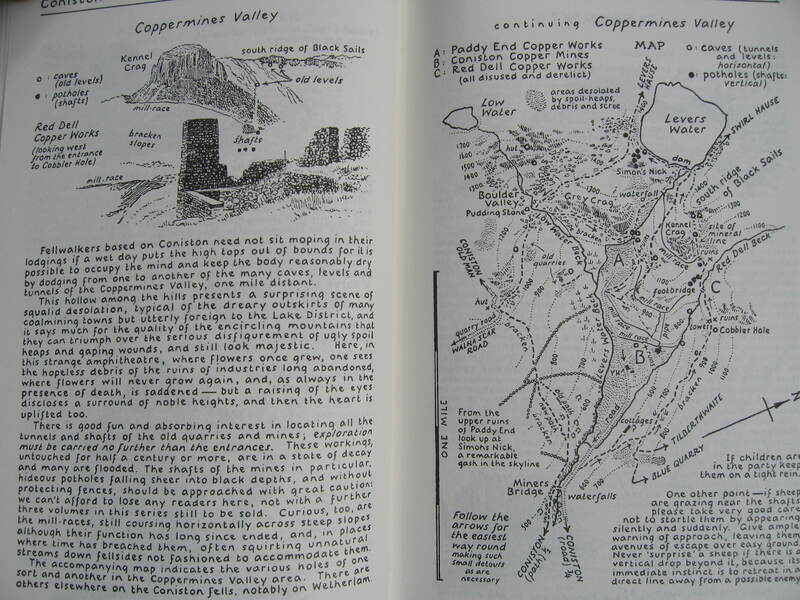 He includes the direct route to Coniston Old Man: “this is the way the crowds go”; plus the one via Boo Tarn: “a climb for … the discerning walker” and one ascent from Torver with its view of Dow Crag, “one of the grandest rock-faces in the district”. We hope you enjoy planning your walks! Categories: Lake District Nature, Things To Do, Walking | Tags: local attractions, Nature, Wainwright, walking | Permalink. Wainwright’s Pictorial Guides: fireside companions. 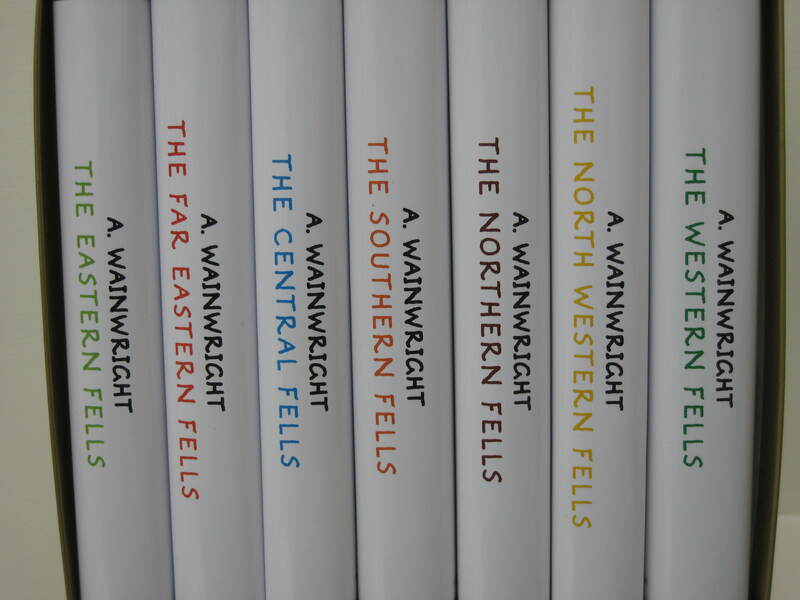 In Sykehouse Cottage there is a complete set of the 50th anniversary edition of Wainwright’s Pictorial Guides to the Lakeland Fells. These seven little hardback books contain the most magical evocation of fell walking I have ever encountered. Each of the seven volumes is dedicated to a different group of people or animal: map makers, dogs, solitary wanderers and each book has a personal note at the end. And this warm and idiomatic approach to the fells is continued throughout the books which are hand drawn – and handwritten (!) – guides to walking the fells. Categories: Lake District Nature, Lake District Writers, Things To Do, Walking | Tags: Wainwright, walking | Permalink.